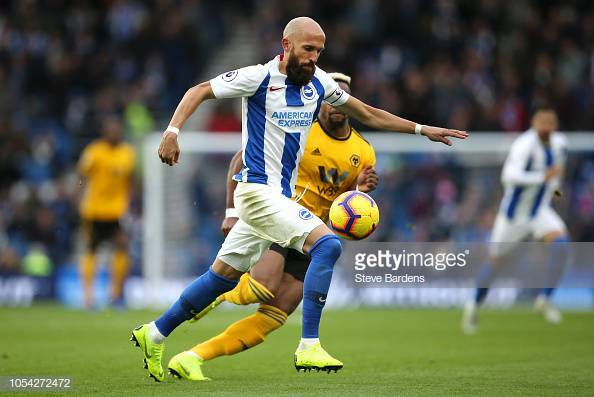 Brighton & Hove Albion Captain, Bruno admits this season could be his last with Brighton and maybe his last season a footballer. The Spaniard has been with the Seagulls since 2012 having made over 200 appearances for them in that time. However, it seems this could be his final season. “To be honest of course I lie if I was to say I was not thinking about my future, but it’s not a big deal for myself now. “I’m just trying to enjoy it as it could be my last season and I will take the decision not now, but in a couple of months, but right now I’m trying to enjoy every moment like last week I was at Old Trafford it could have been the last one, but I try to enjoy it either way." “No I don’t know I will see of course I have been talking with a lot of former players and it is a difficult transition, but you have to be positive and be grateful for everything you have done and fell positive for the future. “Right now I feel really good I’m training at the same level as all the other boys, all the games I have played I think it was a good performance and I feel strong mentally and we will see at the end of the season. A really big and sad story in the footballing world at the moment is that of the disappearance of Emiliano Sala and the pilot of a private jet, which was taking him to his new club Cardiff City and got lost on the radar over the English Channel. Bruno came up against Sala in pre-season for Brighton, when Sala played for FC Nantes and he had the following to say on the events: “It’s a shock and it’s really sad because all of us have been in that situation flying in a private jet or going somewhere and it’s really difficult to see a man leaving to come to the Premier League, 28-years-old, a family man it’s so difficult and from here as a captain and a football mate and all of our thoughts are with his family of course."